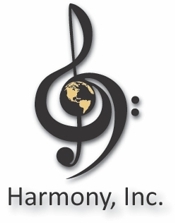 Harmony, Inc. is an international, non-profit organization whose purpose is to empower all women through education, friendship and a cappella singing in the barbershop style. Since 1959, the organization has expanded from its Eastern roots to include chapters in the United States and Canada from California to Newfoundland, and from Alaska to Florida. Our chorus is part of Area 3 of Harmony Inc. We meet every Monday night at 7 p.m. at the First Baptist Church on Seneca Road in Trumansburg, NY.